MONDAYS 8 games (teams now get 8 games over 7 weeks) ( Spring 1 - Official Start date 4/8 - do not wait for next season; join now- we can pro-rate you in for the remaining Mondays of this session- text us at 5035978819 and we can let you know how-many Monday games you would get and for what price). This Monday league is a 'PDX metro wide league' with gyms from Troutdale in the east- to Beaverton in the West to Vancouver in the north and Tigard in the south. Monday league typically averages 60 teams in 4 skill levels so with that large number of teams, you will get variety and parity (both variety and parity are the result of being in a big league like the Monday league). This 'standard' option means you have no preferences; by being flexible- with us you gain two things 1) the lowest league prices we offer 2) choosing this option gives you the best chance to see 7 different teams and get great parity (close matchups) because you are flexible enough to play at a variety of times. Your team can still put in time requests & location requests- in the 'notes' part of registering but your request is not a guarantee, its just a request; this means you can expect some times that match your request and some times that do not match your request. As you can see with options 2- 13 below, you are being more selective- and being selective is difficult on the league to get you these things that you want, so most of the options below are much more expensive. Option6- 8:20pm - 9:45pm tip times (guaranteed) for $610 (as you can see, you are ONLY able to play in a few time slots- so the thought is that your price should go up; HOWEVER, your team is willing to play in the late time slots- that other teams do not want too many of.). Option7- 9:20pm - 9:45pm tip times (guaranteed) for $600 (you are ONLY able to play in a TINY time range- very limiting for the league HOWEVER- your price goes down because the time slots you want are are time slots other teams do not want- so you are helping those other teams- by taking a whole bunch of late games. Option8- 6:00pm - 6:20pm tip times (guaranteed) for $731 (note that you might actually tip at 6:30pm or perhaps 6:40pm (typically one time per season). For your doubleheader, your first game will fall into this time frame (but the 2nd game of a doubleheader might be after/out of this time range). Limited to 1 team per season. Your team will play early - but you will travel. There are only 2 days with no travel - Friday, Saturday (all games at CCS) and Tuesday has very little tavel - with 70% of games at CCS and other games at Hillside CC - both Portland Locations . But the Monday and Wednesday early guarantee - has travel (you will experience 84 one-way miles to get throuh your 8 game session. Option9- 6:00pm - 7:55pm tip times (guaranteed) for $761 (known as the 'Early Guarantee')- your latest tipoff time will be 7:55pm (if a gym is running late, we might have you play at 8pm or 8:05pm). For your doubleheader, your first game will fall into this time frame (but the 2nd game of a doubleheader might be after/out of this time range). Your team will play early - but you will travel. There are only 2 days with no travel - Friday, Saturday (all games at CCS) and Tuesday has very little tavel - with 70% of games at CCS and other games at Hillside CC - both Portland Locations . But the Monday and Wednesday early guarantee - has travel (you will experience 84 one-way miles to get throuh your 8 game session. Option10- 6:40pm - 7:55pm tip times (guaranteed) for $837 (known as the 'Perfect Schedule') (you are NOT WILLING to playing late, but you are also NOT WILLING to play early, as well). Option13: ZERO REFEREES GAMES at 6:40pm or 7:35pm in TIGARD/BEAVERTON AREA- 8 games for $513. Limited to 1 team. For more information about this program/how it works- read about it by clicking on our link titled- Zero Ref Games. Some weeks you will play at 6:40pm while other weeks you will play 7:35pm; location of games will be Beaverton Hoop YMCA &/or The Courts Beaverton &/or Muslim Education Trust in Tigard (this is an amazing new facility- a great basketball court- near Washington Square). Option14: ZERO REFEREES GAMES at 6:40pm or 7:35pm on the EASTSIDE-- 8 games for $521. Limited to 1 team. For more information about this program/how it works- read about it by clicking on our link titled- Zero Ref Games. Some weeks you will play at 6:40pm while other weeks you will play 7:35pm; location of games will be Columbia Christian School &/or Warner Pacific College. Option15: ZERO REFEREES GAMES at 8:25pm in BEAVERTON - 8 games for $483. Limited to 1 team. For more information about this program/how it works- read about it by clicking on our link titled- Zero Ref Games. Some weeks you will play at 6:40pm while other weeks you will play 7:35pm; location of games will be Beaverton Hoop YMCA &/or The Courts Beaverton &/or Muslim Education Trust in Tigard (this is an amazing new facility- a great basketball court- near Washington Square). Option16: ZERO REFEREES GAMES at 8:25pm on the EASTSIDE- 8 games for $521. Limited to 1 team. For more information about this program/how it works- read about it by clicking on our link titled- Zero Ref Games. Some weeks you will play at 6:40pm while other weeks you will play 7:35pm; location of games will be Columbia Christian School &/or Warner Pacific College. Option17: ZERO REFEREES GAMES at 9:25pm in BEAVERTON- 8 games for $415. Limited to 1 team. For more information about this program/how it works- read about it by clicking on our link titled- Zero Ref Games. Some weeks you will play at 6:40pm while other weeks you will play 7:35pm; location of games will be Beaverton Hoop YMCA &/or The Courts Beaverton &/or Muslim Education Trust in Tigard (this is an amazing new facility- a great basketball court- near Washington Square). Option18: ZERO REFEREES GAMES at 9:25pm on the EASTSIDE- 8 games for $415. Limited to 1 team. For more information about this program/how it works- read about it by clicking on our link titled- Zero Ref Games. Some weeks you will play at 6:40pm while other weeks you will play 7:35pm; location of games will be Columbia Christian School &/or Warner Pacific College. TUESDAYS 8 games- ( Spring 1 - Official Start Date 4/16 - do not wait for next season; join now- we can pro-rate you in for the remaining Tuesdays of this session- text us at 5035978819 and we can let you know how-many Tuesday games you would get and for what price) the Tuesday league will only accept B skill level teams and C skill level teams. If you are an A skill level team or a RECREATIONAL skill level team, you need to sign up for Sunday or Monday, Wednesday or Thursday as those 3 days have all of the skill levels. Option6- 8:20pm - 9:45pm tip times (guaranteed) for $610 (as you can see, you are ONLY able to play in a few time slots- so the thought is that your price should go up; HOWEVER, your team is willing to play in the late time slots- that other teams do not want too many of). Option8- 6:00pm - 6:20pm tip times (guaranteed) for $731 (note that you might actually tip at 6:30pm or perhaps 6:40pm (typically one time per season). For your doubleheader, your first game will fall into this time frame (but the 2nd game of a doubleheader might be after/out of this time range). Limited to 1 team per season. Option9- 6:00pm - 7:55pm tip times (guaranteed) for $715 (known as the 'Early Guarantee')- your latest tipoff time will be 7:55pm (if a gym is running late, we might have you play at 8pm or 8:05pm). For your doubleheader, your first game will fall into this time frame (but the 2nd game of a doubleheader might be after/out of this time range). Option13: ZERO REFEREES GAMES at 6:40pm or 7:35pm in TIGARD/BEAVERTON AREA- 8 games for $502. Limited to 1 team. For more information about this program/how it works- read about it by clicking on our link titled- Zero Ref Games. Some weeks you will play at 6:40pm while other weeks you will play 7:35pm; location of games will be Beaverton Hoop YMCA &/or The Courts Beaverton &/or Muslim Education Trust in Tigard (this is an amazing new facility- a great basketball court- near Washington Square). Option16: ZERO REFEREES GAMES at 8:25pm on the EASTSIDE- 8 games for $492. Limited to 1 team. For more information about this program/how it works- read about it by clicking on our link titled- Zero Ref Games. Some weeks you will play at 6:40pm while other weeks you will play 7:35pm; location of games will be Columbia Christian School &/or Warner Pacific College. Option17: ZERO REFEREES GAMES at 9:25pm in BEAVERTON- 8 games for $420. Limited to 1 team. For more information about this program/how it works- read about it by clicking on our link titled- Zero Ref Games. Some weeks you will play at 6:40pm while other weeks you will play 7:35pm; location of games will be Beaverton Hoop YMCA &/or The Courts Beaverton &/or Muslim Education Trust in Tigard (this is an amazing new facility- a great basketball court- near Washington Square). Option18: ZERO REFEREES GAMES at 9:25pm on the EASTSIDE- 8 games for $420. Limited to 1 team. For more information about this program/how it works- read about it by clicking on our link titled- Zero Ref Games. Some weeks you will play at 6:40pm while other weeks you will play 7:35pm; location of games will be Columbia Christian School &/or Warner Pacific College. WEDNESDAYS 8 games (teams now get 8 games over 7 weeks) - ( Spring 1- Official Start date 4/10 - (Do not wait for next season; join now- we can pro-rate you in for the remaining Wednesdays of this session- text us at 5035978819 and we can let you know how-many Wednesday games you would get and for what price)- this is a 'PDX metro wide league' with gyms from Troutdale in the east- to Beaverton in the West to Vancouver in the north- and Tigard in the south. Wednesdays typically has 65 teams in 4 skill levels so this is the best league for variety and parity (close games). Wednesday teams will play 8 games by playing 7 games over 5 Wednesdays and 1 Thursday game. Note that 7:55pm is the listed time means some games might actually start 8pm or even 8:05pm. This option is more expensive as gymnasiums are not built for adults- they are built for kids- meaning- the times that you want to play (on a weeknight) are very rare and more expensive and/or nonexistent PLUS- every team in this league wants these times... AND to accommodate your perfect schedule, we have to get OUR in-house-teams (PicktoPlay and our own teams) to take all of your bad game times for you. Note: for your doubleheader, your first game will fall into this time frame (but the 2nd game of a doubleheader might be after/out of this time range). Option13: ZERO REFEREES GAMES at 6:40pm or 7:35pm in TIGARD/BEAVERTON AREA- 7 games for $502. Limited to 1 team. For more information about this program/how it works- read about it by clicking on our link titled- Zero Ref Games. Some weeks you will play at 6:40pm while other weeks you will play 7:35pm; location of games will be Beaverton Hoop YMCA &/or The Courts Beaverton &/or Muslim Education Trust in Tigard (this is an amazing new facility- a great basketball court- near Washington Square). Option14: ZERO REFEREES GAMES at 6:40pm or 7:35pm on the EASTSIDE-- 7 games for $521. Limited to 1 team. For more information about this program/how it works- read about it by clicking on our link titled- Zero Ref Games. Some weeks you will play at 6:40pm while other weeks you will play 7:35pm; location of games will be Columbia Christian School &/or Warner Pacific College. Option15: ZERO REFEREES GAMES at 8:25pm in BEAVERTON - 7 games for $483. Limited to 1 team. For more information about this program/how it works- read about it by clicking on our link titled- Zero Ref Games. Some weeks you will play at 6:40pm while other weeks you will play 7:35pm; location of games will be Beaverton Hoop YMCA &/or The Courts Beaverton &/or Muslim Education Trust in Tigard (this is an amazing new facility- a great basketball court- near Washington Square). Option16: ZERO REFEREES GAMES at 8:25pm on the EASTSIDE- 7 games for $521. Limited to 1 team. For more information about this program/how it works- read about it by clicking on our link titled- Zero Ref Games. Some weeks you will play at 6:40pm while other weeks you will play 7:35pm; location of games will be Columbia Christian School &/or Warner Pacific College. Option17: ZERO REFEREES GAMES at 9:25pm in BEAVERTON- 7 games for $415. Limited to 1 team. For more information about this program/how it works- read about it by clicking on our link titled- Zero Ref Games. Some weeks you will play at 6:40pm while other weeks you will play 7:35pm; location of games will be Beaverton Hoop YMCA &/or The Courts Beaverton &/or Muslim Education Trust in Tigard (this is an amazing new facility- a great basketball court- near Washington Square). Option18: ZERO REFEREES GAMES at 9:25pm on the EASTSIDE- 7 games for $415. Limited to 1 team. For more information about this program/how it works- read about it by clicking on our link titled- Zero Ref Games. Some weeks you will play at 6:40pm while other weeks you will play 7:35pm; location of games will be Columbia Christian School &/or Warner Pacific College. THURSDAYS 8 games (teams now get 8 games over 7 weeks) - (Spring 1 Official Start date 4/11 - do not wait for next season; join now- we can pro-rate you in for the remaining Thursdays of this session- text us at 5035978819 and we can let you know how-many Thursday games you would get and for what price) - this is a 'PDX metro wide league' with gyms on the EAST and the WEST. Do not sign up for Thursdays if you are an A level team (A level teams can only play on Sundays or Mondays or Wednesdays). If you are a B level, C level or REC level team, the Thursday league will work for you. Option9- 6:00pm - 7:55pm tip times (guaranteed) for $717 (known as the 'Early Guarantee')- your latest tipoff time will be 7:55pm (if a gym is running late, we might have you play at 8pm or 8:05pm). For your doubleheader, your first game will fall into this time frame (but the 2nd game of a doubleheader might be after/out of this time range). Option17: ZERO REFEREES GAMES at 9:25pm in BEAVERTON- 7 games for $420. Limited to 1 team. For more information about this program/how it works- read about it by clicking on our link titled- Zero Ref Games. Some weeks you will play at 6:40pm while other weeks you will play 7:35pm; location of games will be Beaverton Hoop YMCA &/or The Courts Beaverton &/or Muslim Education Trust in Tigard (this is an amazing new facility- a great basketball court- near Washington Square). Option18: ZERO REFEREES GAMES at 9:25pm on the EASTSIDE- 7 games for $420. Limited to 1 team. For more information about this program/how it works- read about it by clicking on our link titled- Zero Ref Games. Some weeks you will play at 6:40pm while other weeks you will play 7:35pm; location of games will be Columbia Christian School &/or Warner Pacific College. FRIDAYS- 8 games- (with the Friday league, you are basically/simply paying for 8 games- so you can start ANY Friday)- this is a unique league in that 100% of your games are in Portland and in fact- within 5 miles of the river! We only run in two gyms- on Fridays and both gyms are in Portland (70% of the games are in at Hillside Community Center 653 NW Culpepper Terrace in Portland and Hillside CC is one of the best gyms in the PDX; the other 30% of the games are at Columbia Christian School 9100 East Burnside Portland Oregon). Option3: ZERO REFEREES LEAGUE 6PM GAME FRIDAYS AT HILLSIDE COMMUNITY CENTER- 7 games for $329. This is a new concept for us but one that we have tried 40 times in 2016 (39 games out of 40 games graded out as a great workout and fun). PortlandBasketball.com is now allowing teams to sign up for 7 games without referees. With these ZERO REFEREE games we saw that defensive players do not make wild plays (the game is cleaner from what we have seen). Uniforms are still required so the game looks the same as any other game; in fact, we tipoff right on time- and we still keep score. In the non-refereed league, the halves are 1 minute longer (26 minutes per half vs the 25 minutes in the refereed league). The main difference then with a ZERO REFEREES league is that you have no referees and captains and players must be cooperative in nature. What does 'cooperative' look like? Cooperation is required from all players; if your team is too physical (dangerous or unsafe), you will not be allowed to play in this league because your style of play is not cooperative to safety. If you are too competitive to the point of anger, you will not be allowed to play in this league (if you know this about yourself, do not sign up for this option). If you are willing to play clean (not tackle a guy from behind that beats you to the basket) and if you are willing to 'call your own' fouls (meaning you have to accept a bad call, every once in a while), then then this league might be for you! Another thing we have noticed in our 40 test games with ZERO REFEREES is less fouls- less arguments and as a result - a better workout (no free throws- as we check it up 'up top' and we are back in play in 11 seconds versus the 45 seconds it might take for a foul call & free throws with referees). SATURDAYS 8 games- (with the Saturday league, you are basically paying for 8 games- so you can start any Saturday)- this is a unique league in that almost every single game is in Portland (at Columbia Christian School at 9100 East Burnside). As you look at the options below- if you have questions, text both of these numbers for immediate response- 5035978819 & 5033804539. SUNDAYS 8 games- (Spring 1 Official start Date 3/31 ** Spring 1 is 8 games over 8 weeks as we have 2 holidays, games on Easter and Mothers Day will be after 5pm and you can choose to have a bye on these days if needed - do not wait for next season; join now- we can pro-rate you in for the remaining Sundays of this session- text us at 5035978819 and we can let you know how-many Sunday games you would get and for what price)- this is a 'PDX metro wide league' with gyms from 91st & Burnside on the east and Beaverton to the west & many gyms in-between. We do not play in Vancouver on Sundays but Vancouver teams get their games scheduled in the closest Portland gym so with light traffic on Sundays Vancouver teams seem to enjoy our Sunday league. Sundays has 65 teams in 4 skill levels so this league will take A teams, B teams, C teams, Rec teams and Coed teams. Sundays- MENS - tip times 1:10pm till 8:55pm for $586 (when you register below, you will have an option to tell us three things: earliest possible time, latest possible time & your preferred time. Sundays- COED COMPETITIVE tip times 2:05pm till 8:00pm for $586 (when you register below, you will have an option to tell us three things: earliest possible time, latest possible time & your preferred time. Sundays- COED RECREATIONAL tip times 2:05pm till 8:00pm for $586 (when you register below, you will have an option to tell us three things: earliest possible time, latest possible time & your preferred time. 7 Games for $640 - you will get 10 games with a possibility of more games due to playoffs. For more detailed information about the Asian league- text us at 503-597-8819. Look at the menu at the top of this webpage- and click on INTEL and you will see a description of prices and games- per each of 4 seasons per year. Option 1- 9:20pm - 9:30pm tip times for $509 (a.k.a 'We are willing to play the LATE game every week') - if your willing to play the latest game of the day- you deserve a discount. discount because now every other women's team has to play 'one less' late game since your taking those! Option 2- 6:00pm - 9:30pm tip times for $520 (a.k.a. 'We can play ANY game time in the full range of game times'). Your team is flexible to play in any of our game times. Option 4- 6:35pm - 8:55pm tip times for $604 (a.k.a. 'We will play ANY game but time BUT we can NOT tip off with any game time past 8:55pm'). Your team cannot play at 6:00pm and so the earliest your team would play is 6:35pm and as well, your team will tip off no later than 8:55pm (8:55pm is the listed time- some games get delayed & may start 9pm or 9:05pm). This option is more expensive because 'no one wants to play late' (you are not unique)- and in accommodating your needs, we have to get our in-house-teams take (your) late game times (in your place). Option 5- 6:35pm - 7:55pm tip times (guaranteed) for $659 (a.k.a. 'We can not play too early... and we cannot play late... in fact, we want the PERFECT schedule'). Your team will tip off no earlier than 6:35pm and you will tip off no later than 7:55pm (7:55pm is the listed time- some games get delayed & may start 8pm or 8:05pm). This option is more expensive as gymnasiums are not built for adults- they are built for kids- meaning- the times you want (on a weeknight) are very rare and more expensive and/or nonexistent...and- everyone wants these times. And to accommodate your perfect schedule, we have to get our in-house-teams to take your bad game times (in your place). We hope not to sell many of these options (we hope to not sell any of this option) but if this option is that worth it to you, your job & your family, then here you go! Q Text 503-597-8819 with any questions & we will text or most likely call you back to discuss. Note IF you see TWO start date options- above: if you take the first date ('early date' option) you will play one extra week to get the same number of games whereas if you choose the 'official start date' you will play one doubleheader in your season to get that number of games. Day you want to play (choose from dropdown menu) Choose Day Women Monday Option1 (9:20+) $509 Women Monday Opt.2 (6:00+) $520 Women Monday Opt.3 (635+) $530 Women Monday Opt.4 (6:35 - 8:55) $604 Women Monday Opt.5 (6:35 - 7:55) $659 Sunday MENS division $586 (8 games!) Sunday COED recreational $586 (8 games!) Sunday COED competitive $586 (8 games!) Monday Opt.1 (6:00 - 9:45) $610 Monday Opt.2 (6:45-9:45) $626 Monday Opt.3 (7:10-9:45) $635 Monday Opt.4 (7:40-9:45) $635 Monday Opt.5 (8:00-9:45) $635 Monday Opt.6 (8:20-9:45) $610 Monday Opt.7 (9:20-9:45) $600 Monday Opt.8 (6:00-6:20) $731 Monday Opt.9 (6:00-7:55) $717 Monday Opt.10 (6:40-7:55) $837 Monday Opt.11 (NO games after 8:55) $717 Monday Opt.12 (6:40-8:55) $742 Monday Option13 $513 Monday Option14 $521 Monday Option15 $483 Monday Option16 $521 Monday Option17 $420 Monday Option18 $420 Tuesday Opt.1 (6:00 - 9:45)$610 Tuesday Opt.2 (6:45-9:45)$626 Tuesday Opt.3 (7:10-9:45) $635 Tuesday Opt.4 (7:40-9:45) $635 Tuesday Opt.5 (8:00-9:45) $635 Tuesday Opt.6 (8:20-9:45) $610 Tuesday Opt.7 (9:20-9:45) $600 Tuesday Opt.8 (6:00-6:20) $731 Tuesday Opt.9 (6:00-7:55) $717 Tuesday Opt.10 (6:40-7:55) $837 Tuesday Opt.11 (NO games after 8:55) $679 Tuesday Opt.12 (6:40-8:55) $717 Tuesday Option13 $502 Tuesday Option14 $521 Tuesday Option15 $483 Tuesday Option16 $492 Tuesday Option17 $420 Tuesday Option18 $420 Wednesday Opt.1 (6:00 - 9:45)$610 Wednesday Opt.2 (6:45-9:45) $626 Wednesday Opt.3 (7:10-9:45) $635 Wednesday Opt.4 (7:40-9:45) $635 Wednesday Opt.5 (8:00-9:45) $635 Wednesday Opt.6 (8:20-9:45) $610 Wednesday Opt.7 (9:20-9:45) $600 Wednesday Opt.8 (6:00-6:20) $731 Wednesday Opt.9 (6:00-7:55) $761 Wednesday Opt.10 (6:40-7:55) $837 Wednesday Opt.11 (NO games after 8:55) $717 Wednesday Opt.12 (6:40-8:55) $742 Wednesday Option13 $502 Wednesday Option14 $521 Wednesday Option15 $483 Wednesday Option16 $521 Wednesday Option17 $420 Wednesday Option18 $420 Thursday Opt.1 (6:00 - 9:45) $610 Thursday Opt.2 (6:45-9:45)$626 Thursday Opt.3 (7:10-9:45) $635 Thursday Opt.4 (7:40-9:45) $635 Thursday Opt.5 (8:00-9:45) $635 Thursday Opt.6 (8:20-9:45) $610 Thursday Opt.7 (9:20-9:45) $600 Thursday Opt.8 (6:00-6:20) $717 Thursday Opt.9 (6:00-7:55) $717 Thursday Opt.10 (6:40-7:55) $837 Thursday Opt.11 (NO games after 8:55) $686 Thursday Opt.12 (6:40-8:55) $717 Thursday Option13 $502 Thursday Option14 $521 Thursday Option15 $483 Thursday Option16 $521 Thursday Option17 $420 Thursday Option18 $420 Friday Option1 $416 Friday Option2 $433 Friday Option3 $329 Saturday Option1 $423 Saturday Option2 $438 Saturday Option3 $453 Saturday Option4 $480 Saturday Option5 $512 Saturday Option6 $476 Saturday Option7 $280 Saturday Option8 $329 Saturday Option9 $331 Intel league See prices in Intel Link Asian League What date (from the above listed 2 options) do you want to start? If you are joining the SUNDAY LEAGUE what is the truly EARLIEST possible time you can play? If you are joining the SUNDAY LEAGUE, what is the truly LATEST possible time you can play? If you are joining the SUNDAY LEAGUE what is your IDEAL time that you want to play? Do you understand and accept our payment policy (below) where you are charged at day 10 for anything still due on your team fee? You understand that all of your players must fill out the online waiver (found on schedule pages) before your first game? Yes No You understand that all of your players need to read the rules before playing in this league? You understand that at no point can any disagreement or frustration be settled AT the gym directly with a referee? This point bears repeating bc of how many new teams have had suspensions occur in the first week or two-- nothing can be settled AT the gym, frustrations must be taken up with 5033804539. Yes No SKILL LEVEL NOTE: If you registered as an A-team you will play against A-teams & B-teams. If you registered as a B-team you will play against A-teams and B-teams and C-teams. If you registered as a C-team you will play against B-teams and C teams and Rec-teams. If you registered as a REC-team, you will play against C-teams and Rec-teams. If you registered as a COED-team, you will play against coed teams and some mens teams. If you registered as a MASTERS AGED-team, you will play against Masters teams and C-teams and Rec-teams. Teams are required to pay least 2 players worth of payments to get started. These two payments must match players names - that are on your roster. This could be your payment right now plus (text all your players to pay right now) the first teammate who jumps in and pays. When the league sees '2 payments come across'- we know that your team is committed and in (and you will be put in the league and on our schedule). You can pay with credit card or debit card. Restated: text your players right now- to get them to put their payment in (send the text today) and with 6 players getting your text, we are certain that at least 1 other player will pay most likely within the hour. 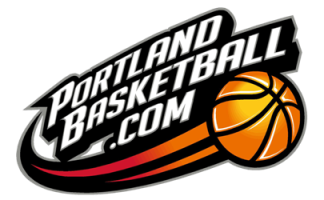 After that 2nd payment hits us, you are in -but of course-keep working to get the rest of the payments in full based on your chosen league/fee (do not tell your teammates that you have 10 days but you have 10 days from your 1st game until PortlandBasketball.com will hit your credit/debit card for the remaining balance). So now that you know how the payment process works- feel free to click REGISTER MY TEAM button (below) and your team will be registered... so... after clicking register, you will be taken to a payment page where (you can make your 1st payment if you would like, or you can make your payment on a different day but at least your team information is 'registered' in our system). Any questions- on any topic, it is best to text 503-597-8819 or email office@portlandbasketball.com for an immediate response.